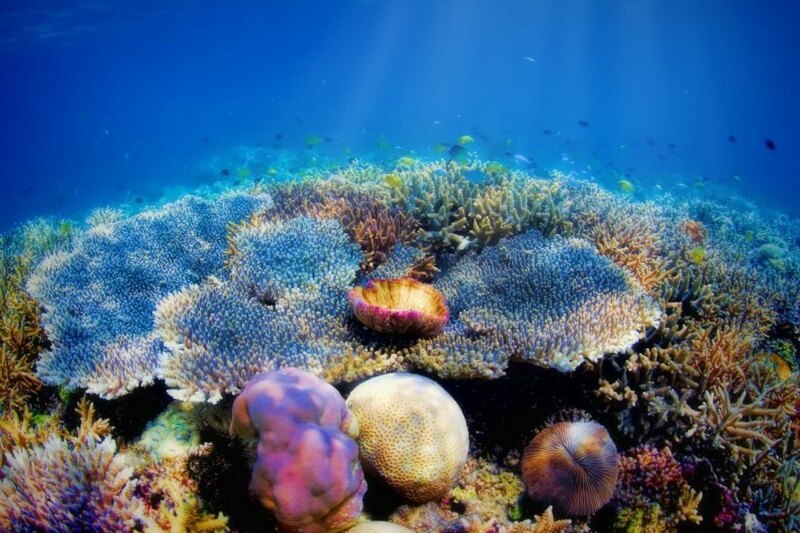 Researchers have crafted a new liquid substance that can be sprayed onto the surface of the water above vulnerable coral reefs, shielding them from intense UV and visible light beaming down from the Sun. In doing so, the spray may help to defend reefs from extreme bleaching events. 50,000 times thinner than a human hair, the biodegradable spray is made from a natural lipid and calcium carbonate, a key component of coral reefs. “It is white so it reflects and scatters all the light which hits the ocean surface,” study researcher Andrew Negri told the Sydney Morning Herald. Laboratory tests revealed that the spray was capable of reducing the amount of light reaching underwater coral by 20 percent. “In the laboratory, it actually stays on the surface for several weeks, but in the ocean it could be broken up by wave action and moved around by the currents,” explained Negri. The spray will quickly biodegrade after it is broken up. Trials in a real-world environment will begin soon to refine the spray and make it more resilient to sometimes turbulent waters. A colorful coral reef near Komodo Island. The "spray-on umbrella" could protect coral reef from extreme bleaching events.